ashington, DC, the nation's capital, has a city government that is inefficient, poorly managed, and fiscally irresponsible, and that is characterized by widespread waste, fraud, corruption, and abuse. The structural problems facing Washington, DC, are not unique. They typify the problems facing the inner cities of many metropolitan areas. These problems include crime, drugs, a deteriorating infrastructure, a failing public school system, poorly maintained and managed public housing, high taxes, and a general breakdown in the delivery of government services. What makes Washington unique is the fact that, even with massive budgets and federal aid, these problems are compounded by large budget deficits and recurring fiscal crises, the mismanagement of programs and departments, and fraud and corruption scandals. Currently, several governmental bodies in the District of Columbia are charged with investigating government waste, fraud, corruption, and abuse. Among these offices and agencies are the Inspector General, the Auditor, the Corporation Counsel, the Ethics Ombudsman, the Internal Affairs Division of the Metropolitan Police Department, and the Office of Campaign Finance. However, these offices have proven to be ineffective, inefficient, or powerless. Moreover, in Washington, DC, the local media tend to concentrate on national issues and give scant coverage to local governmental issues. The media seldom devote adequate time or resources to an in-depth analysis of the problems and inner workings of the District government. Before DCWatch, no other citizen organization functioned primarily as a watchdog on corruption and as an independent voice seeking to reform the District government. The lack of such an organization has allowed governmental waste and mismanagement to remain largely unchecked. This situation has proven to be destructive of the fiscal order of the District, of the public's confidence in government, and of the District's relationship with the federal government. DCWatch has been modeled after the Citizens Union in New York City, the Committee of Seventy in Philadelphia, and the Better Government Association of Chicago. The BGA of Chicago, for example, was established in 1923 to promote voter registration and to make candidate endorsements. Its principal focus for the past several decades, however, has been to eradicate government waste and corruption through thorough, independent investigations. In Washington, DCWatch's major official project is this web site, which attempts to inform the public about fundamental public policy issues, the District government, and its officials; to serve as an outlet for opinion, and to provide informational resources for citizens. Our hope is that DCWatch will be an aggressive, effective, non-partisan watchdog on the city's government. dorothy@dcwatch.com The executive director of DCWatch is Dorothy Brizill, who has been active for several years as a community activist and civic reformer. She is political scientist who was educated at Queens College (CUNY) and Columbia University and who has worked at the Brookings Institution and the State Department. 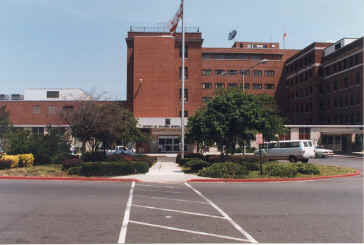 Her independent investigations of government corruption and mismanagement have led to the complete reorganization of the housing inspection unit of the Department of Consumer and Regulatory Affairs, to federal charges of misuse of office and campaign finance violations against high-ranking officials of the city government, and to necessary reforms in the homeless shelter program, as well as to numerous exposés in the media. 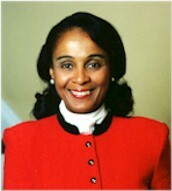 In addition, as the former president of the Columbia Heights Neighborhood Coalition in the 14th Street corridor, she has organized her community to fight drugs and crime; implement community policing; force the District to clean, maintain, and manage scattered-site public housing and District-owned properties; limit the concentration of emergency shelters; revamp the Alcohol Beverage Control Board; and improve the delivery of basic city services. gary@dcwatch.com Gary Imhoff, who is married to Dorothy Brizill, is also the vice-president and webmaster of DCWatch. He is a Washington writer whose published books are Learning in Two Languages: From Conflict and Controversy to Cooperative Reorganization of Schools (Transaction Press, 1990) and The Immigration Time Bomb: The Fragmenting of America (E.P. Dutton & Company, 1985), and whose articles have been published in the Annals of the American Academy of Political and Social Science, USA Today, The Humanist, The Washington Post, and English Today.